Excess amounts of saturated fat in your diet can lead to heart disease and stroke. According to WHO, coronary heart disease and stroke claim more than 14.1 million lives per year. But you should NOT avoid saturated fats completely. The American Heart Association recommends about 5%-6% of calories from saturated fats. Basically, you must LIMIT saturated fat intake. Give this post a read to know about 10 foods high in saturated fats, dietary recommendation, and the best substitutes. But first, let us know what saturated fat is and how it affects your health. Swipe up! 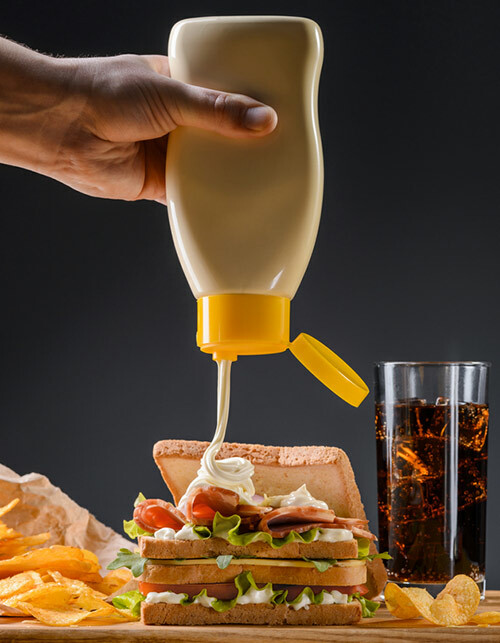 Who doesn’t love a dollop of silky smooth mayonnaise in salads, sandwiches, and wraps! It has a magical property of turning a boring salad into a delicious one. But the problem is the number of saturated fats present in it. Plus, because of its creamy texture and feel-good taste, we all tend to overconsume it. The best way to consume it is to prepare low-cal salad dressing with olive oil, use cottage cheese in sandwiches and wraps, and to eat no more than 2 tablespoons of it per day. Previous article5 ways to teach your toddler basic intellects!!! !